You have just a few more days to plan the perfect Super Bowl party, but don't worry, NBCWashington has you covered. From delectable wings to football-inspired decor, the NBCWashington Pintrest page has all the inspiration you need. 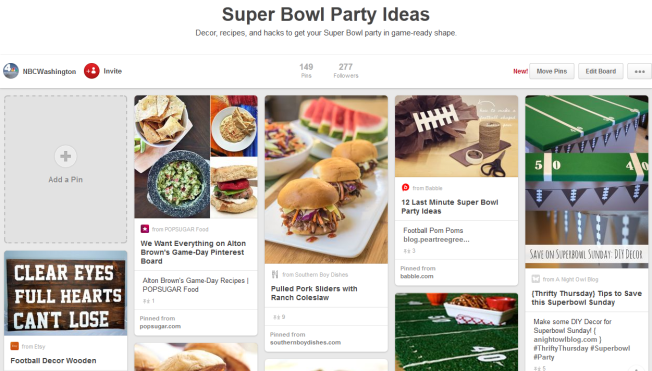 Check out out Super Bowl Pintrest page to make sure your party is ready for game day.